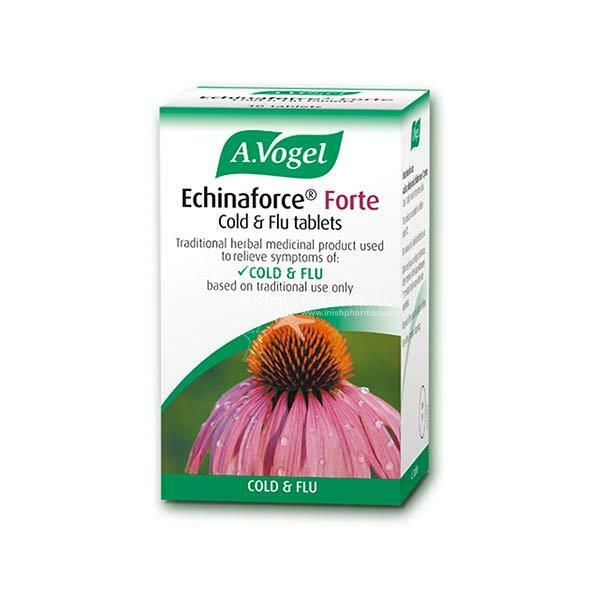 A. Vogel Echinaforce cold and flu tablets contain extracts of fresh echinacea purpurea herb and root. It may help the symptoms of the common cold and flu when used over a long period of time. It is not for use in those under 12 years old or if you are pregnant or breastfeeding.